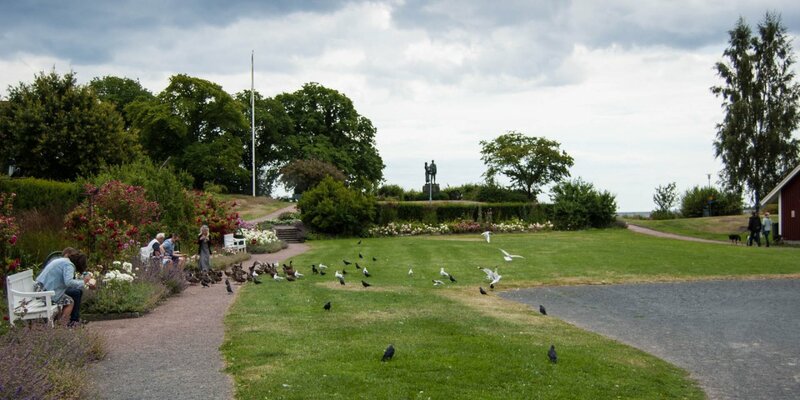 Holje Park is a larger park with museums, an art gallery and an open-air stage located on the southern outskirts of Olofström. The current Holje Park is the remnant of a once very large park, which was built around his mansion of the owner of the ironworks Olofström, Colonel Dannfelt, in the 19th century. The facility consisted of several gardens, thousands of trees and shrubs and an orangery. The water supply was achieved by an artificial stream from the lake Halen. Most of the old park has disappeared over the decades, so that today only three of the original buildings have been preserved. These include firstly the mausoleum from 1836 on a hill opposite the Holje Park. 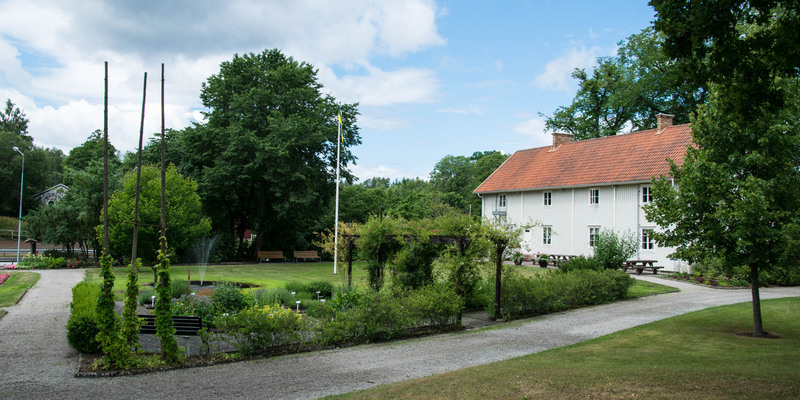 Secondly, the large fieldstone building in which is located Olofströms Museum and the large red and white wooden house with the [link=4-857]Kamera & Galgmuseum[/link ]. Nebbebodagården, a large bright wooden building with red roof tiles, was originally located outside of Olofström. 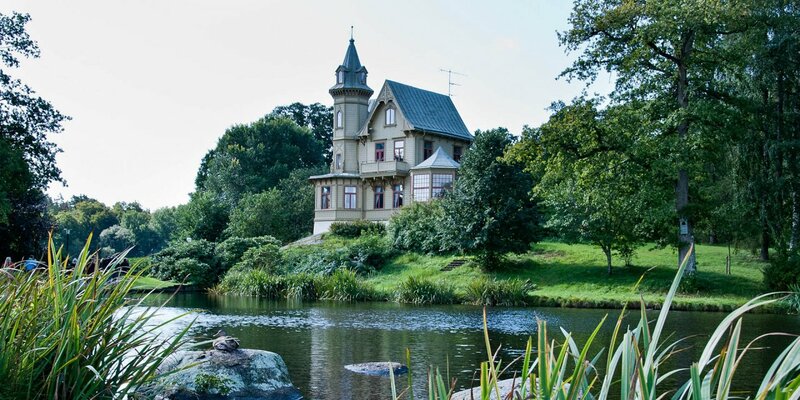 The building was dismantled and rebuilt in Holje Park in 1968 on that spot where once the old mansion stood. Längan, an elongate red wooden building next to the Nebbebodagården was built in the 1970s and serves as an art and exhibition hall. 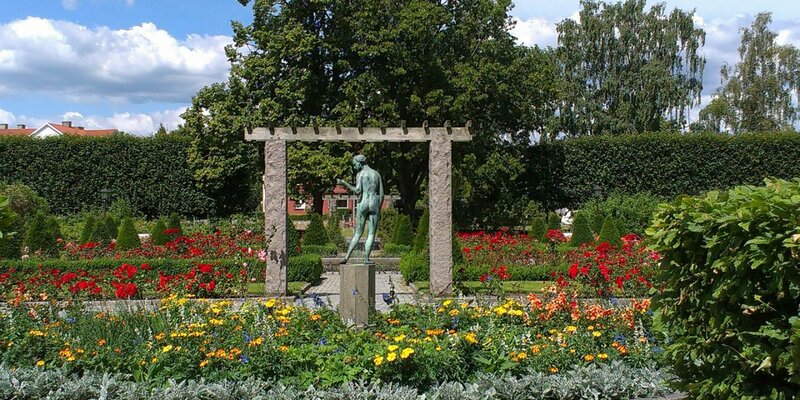 The little herb garden at the park-facing side of the Nebbebodagården was created by the garden association Olofström in the year 2000. There is also a mini-golf course, a large children's playground and a larger open air stage, which is used for traditional events like Walpurgis or the national holiday and also for musical events.